Proper welding is critical to car repair. Replacement parts must be welded with updated MIG welding techniques and equipment to protect their structural integrity. With today's cars, all mechanicals - such as the steering assembly and wheels - attach to the body of the car. So, their relative position to the engine, transmission and axles is critical. 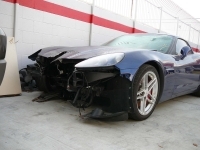 Auto Perfection Group helps maintain the value of your car by restoring it to its pre-accident appearance. We carefully align the exterior panels to ensure the seams between the hood, fenders, grill and bumpers are true to factory specifications. Then we apply our advanced color matching technology. Talk to us before you consult with your insurance company. We have experts specially designated to give a collision repair estimate to clients and can let you know if it is benifical for you to contact your insurance company. Even if you think you can get a better or cheaper repair estimate on your own, you need to first find out what your insurance company requirements are. 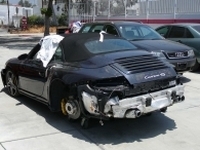 Get the repair shop to specify what, if anything, will not be covered under the collision repair agreement. Most insurance companies will not pay for certain repairs, such as removing fuel, wheeling alignment, belt adjustment or replacing nameplates. When getting a collision repair estimate, ask the repair shop to exclude those items from the receipt. Get a quick collision repair estimate online by filling out some basic information, such as the year/make/model of your car, color and finish (metallic or flat) and type of damage suffered. While online estimates may not be an exact number (since nobody is actually looking at the car), they will still give you a general idea of what to expect in terms of expenses. We are centrally located in Glendale, CA just minutes from the 2, 134, 110 and 5 Freeways. We service all of San Fernando Valley, Ventura County and Los Angeles County. Our clean state of the art 5,500 square foot indoor facility allows us to provide the top class collisions repair services you need.